This entry was posted in Challenges and criticisms, Mufti Taqi Usmani, Reports and publications, Sheikh Yusuf Talal DeLorenzo, Sukuk and tagged Islamic finance, Islmaic Banking, Sukuk, Taqi Usmani. Bookmark the permalink. 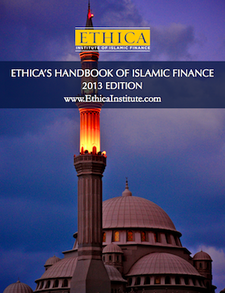 Sukuk is not without inherent weakness and criticism among the banking community. Insofar as the financing of construction projects and infra-structural construction are concerned, Sukuk appeared to be a viable financing tool. Of course, Sukuk has its limitation as well:it cannot be used across the board even if it involve construction-related projects and financial undertakings. The use of Sukuk is NOT only subject to the Syariah-compliant requirements but also the particular national legislative and special legal provisions in a participating country/region. Sukuk is not without inherent weakness. Rising criticism among the banking community appears to indicate opposition against Sukuk which may be deem to be contrary to Islamic principles. The difference in Syariah opinions on this issue is acknowledged and hence, there is a need for a more invigorated approach in resolving the stalemate. widgets, plus any you have installed yourself. You may be wondering exactly how debt consolidation works.